*Above are all the confirmed schedule by all the respective boards. 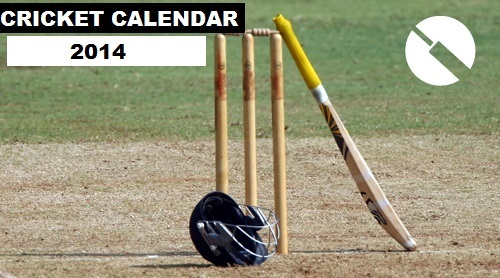 *IPL 2014 Venue is not confirmed yet. *Any more series confirmed in the 2014 year will be updated here. this website is it shows full schedule of 2014 but I want to see Bangladesh vs India and India vs West Indies seairs schedule. Can anyone tell me in which sports channel Bangladesh home series will be telecast live ? please give us full detail..
WHERE DESE MATCHES WILL BE BROADCASTED AS WHERE THEY COULD BE SEEN ON WHICH CHANNEL?? India Will won give it back..